Bruce Mantz has owned a landscape company for 16 years (Mantz's Lawn and Landscaping) . 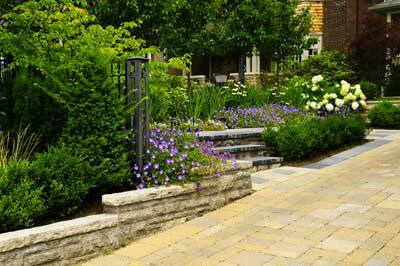 In discussions with our clients, we come to realize that pavers and cement is a traditionally neglected aspect of yard care. Ironically, it can also be one of the largest expenses a home owner can make. We Bruce and his team started a company to address this. Dayton Paver Savers offers steam cleaning and paver sealing. Dayton Paver Savers has also partnered with Perma-Edge to be able to offer paver edge repair. Paver edging is one of the weakest components of paver installations and Perma-edge is a viable solution to improve the life of any paver surface.